I like to cut and paste: Snowflakes and Fun! 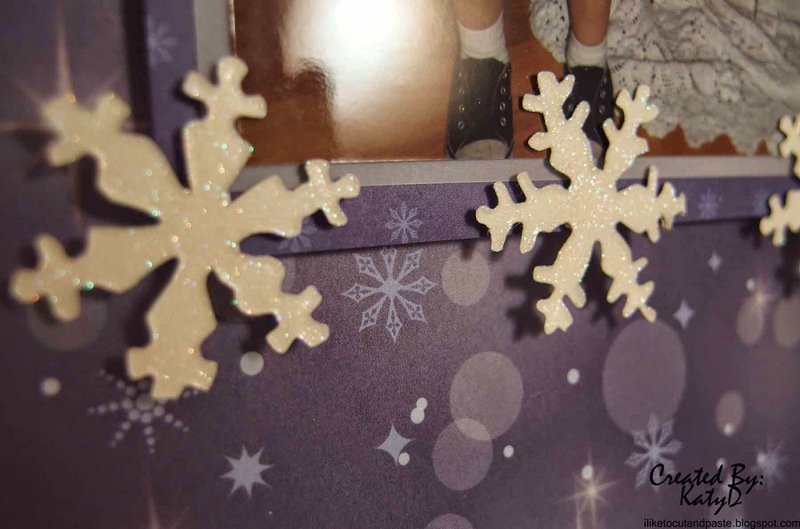 Over at Scrap It Girl the new challenge for January is Snowflakes! So make sure there is one or more snowflakes on your paper crafting project. I also had some puffy stickers from MAMBI (the believe and swirls on the sides). The paper is from DCWV. Under the picture I used light modeling paste and a brick stencil. The title is a font that I used on the silhouette. Here are the snowflakes. 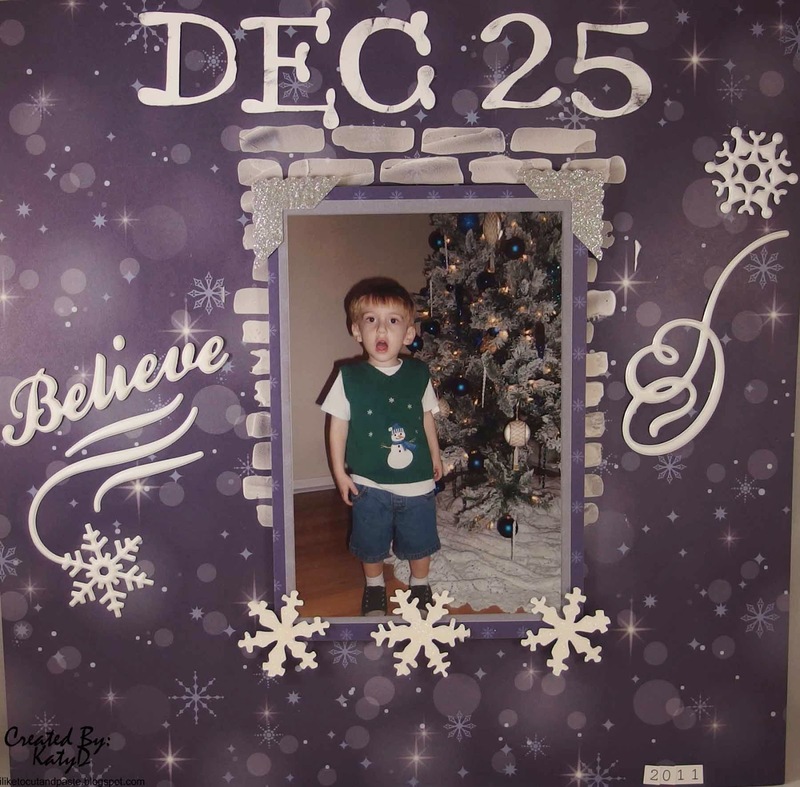 I used Cloud Nine Glitter from Sparkle N Sprinkle on sticky tape after I cut out the snowflakes. I can't wait to see your snowflakes! Such a fun page and adorable picture!! Happy New Year!! Love love love this! LOVING the snowflakes!!!!! Love this Katy! Good luck in your quest for 25! Perfect snowflake layout! Love your brick-laying skills too! Thank you for joining us over at the Creative Challenge of Sparkle N Sprinkle. This is such a fun page! I am also working on using up my stash. Good luck! Your layout looks wonderful and I love those snowflakes. So glad you shared it with us for the Sparkle N Sprinkle Creative Challenge. Very cute layout. I am friends with Darcy and I am also doing the Crash Your Stash challenge. Thought I would stop by and leave some love.